For conservative investors, particularly those approaching (or having already entered) retirement, protecting the money they’ve worked so hard to earn and save over the years is of the utmost importance. However, eventually that nest egg will likely be needed to supplement — or create — other retirement income streams to maintain a standard of living. The use of fixed annuities and dividend stocks is often considered, as both present a viable solution. The choice to use either fixed annuities or dividend stocks is entirely a personal decision, one that requires consideration of a number of factors including the investor’s goals, time horizon and risk tolerance. While both annuities and stocks are capable of producing a satisfactory retirement income, the fundamental differences between these two investment types may have a dramatic and profound effect on the total value of a portfolio. The pros and cons of saving for retirement via fixed annuities or dividend stocks must be carefully examined, as each method carries unique risks. 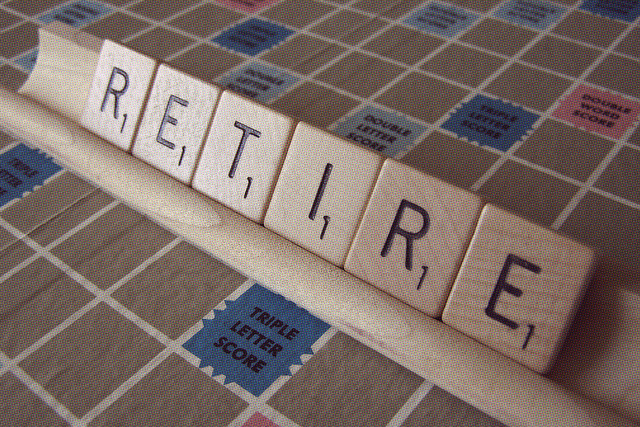 Simply put, annuities are retirement investment vehicles managed by life insurance companies. Money contributed into fixed annuities will grow without income tax liability until it is withdrawn. Fixed annuities earn a stated interest rate, determined by the sponsoring insurance company. That rate is the minimum annual percentage your account will earn, regardless of how the stock market performs or how Wall Street reacts to the latest trends. So fixed annuities essentially carry no risk, as you will never lose money in your account, provided of course that the insurance company remains viable. Several additional benefits come with owning a fixed annuity, benefits unavailable with other account types. These extra features are powerful motivators for investors, as the comprehensive nature of the product often alleviates other concerns that commonly arise when approaching or entering retirement. A specialized death benefit is the most common feature associated with fixed annuities that is not available through a portfolio of dividend stocks. Because fixed annuities are offered by insurance companies, they typically contain death benefit provisions that may result in the account owner’s heirs receiving more money than what was in the account at the time of death. A stock account, on the other hand, will generate nothing more than than the total value of the portfolio’s securities. The biggest downside to fixed annuities is the surrender charge. In exchange for the features, benefits and guarantees offered by the insurance company, annuity contracts contain provisions that allow the insurer to deduct a surrender charge if the account is closed or transferred too soon. Surrender charges vary with each contract and insurance company, and can sometimes be as high as 10%. However, such penalties decrease incrementally over time until finally disappearing altogether. Conservative investors frequently choose larger blue-chip stocks for retirement money, relying on their stability and predictable dividends for both protecting principle and generating regular income. Some such stocks include Northwest Natural Gas (NWN), Cincinnati Financial (CINF) and Waddell & Reed (WDR). However, while a host of stable dividend stocks with a steady history of payments is easy to find, there are no guarantees on Wall Street. Nothing can protect money in a brokerage account from sudden and unpredictable market volatility. Even though the likelihood of another market-wide crash doesn’t seem imminent, there’s no telling what the future will hold and how investors might react. On the other hand, investing in dividend stocks allows the account owner a chance to modify the portfolio, swapping out securities with poor or negative performance in favor of others with more attractive dividends or better performance. This capability is even more pronounced when account owners hold shares of multiple companies at once. Further, there are no recurring fees in a dividend stock account, like those found in fixed annuities. This leaves the account owner with more money to withdraw or reinvest. Fixed annuities and dividend stocks both offer retirement investors several advantages, as well as several potential disadvantages. The choice to invest retirement money into one or the other is personal and purely a matter of preference and tolerance.